Great branded companies share many common attributes, but the most important similarity is the idea that all employees clearly understand what their brand's promise is and what role they need to play in bringing that promise to life. By understanding this, every single employee knows what day-to-day decisions and actions will reinforce the brand or harm the image of the brand. Employees at every level of the organization, including customer service, research and development, sales, senior management and human resources embody the brand and know what it takes to meet brand objectives. To help you and your senior executives understand the importance of building a brand-driven business to drive long-term growth we show you the most effective ways to deliver your brand across every interaction with your customers, stakeholders and even your employees. We call this concept of brand building "operationalizing the brand." This is the our way of explaining that all employees in your organization must work in a cohesive and consistent way to support the brand and its promise to guarantee that all stakeholders and customers are always satisfied and even excited by their experience with your brand. The way you can align your offerings is by ensuring that in-store, catalogue and online offerings are all aligned with your brand as a whole. Companies that do this must also ensure that customer service representatives are talking about the brand in the same way as the sales force, and that all external messaging efforts are consistent with each other. These strategies are ways your brand-driven businesses can be developed through operationalizing the brand. Bringing a brand to life internally allows companies to deliver on the brand externally in the most consistent, cohesive and effective way possible. By operationalizing your brand, it helps you take control of your brand's destiny. Managing a brand is more critical than ever before and business strategy and brand strategy are the ultimately the same thing. Operationalizing your brand in terms of the different brand interactions that your customers have with your brand offers strategies for identifying and prioritizing your brand's "touchpoints" along the purchase cycle. We will introduce you to a framework for identifying and assessing these touchpoints. There are also ways to prioritize each touchpoint relative to its degree of influence on customers and stakeholders. By helping you organize brand touchpoints, you will find three distinct stages that customers go through while developing a relationship with your brand. Strategies for the pre-purchase experience, the purchase experience and the post-purchase experience are paramount in terms of the tactics companies use to satisfy customers, keep them satisfied after a sale, and keep the relationship alive over time to facilitate future purchases of the brand. Understanding the process in which customers relate to you, your company and your brand will serve as your catalist against comon market pitfalls such as price, loyalty, comitment and confidence. Once your strategy is aligned with your business goals, you will see far more success now and in the future. 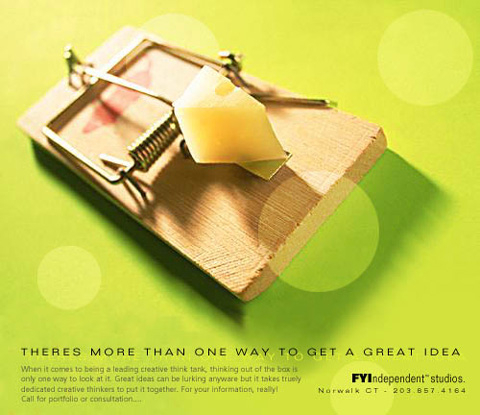 FYIStudio wants to be apart of that success with you. Contact us today to start the conversation!